Mother’s Day was always very special for me, because, on that day I wanted to show mother how much I loved her and needed to tell her how important she was in my life. She was my very best friend as long as I can remember. I remember a particular mother’s day in Kapfenberg while we lived in the refugee camp. It was a Saturday and school was only half day. My Austrian girlfriends were all discussing the Mothers Day Afternoon Coffee they were having with their families. Walking together from school we passed a florist shop. 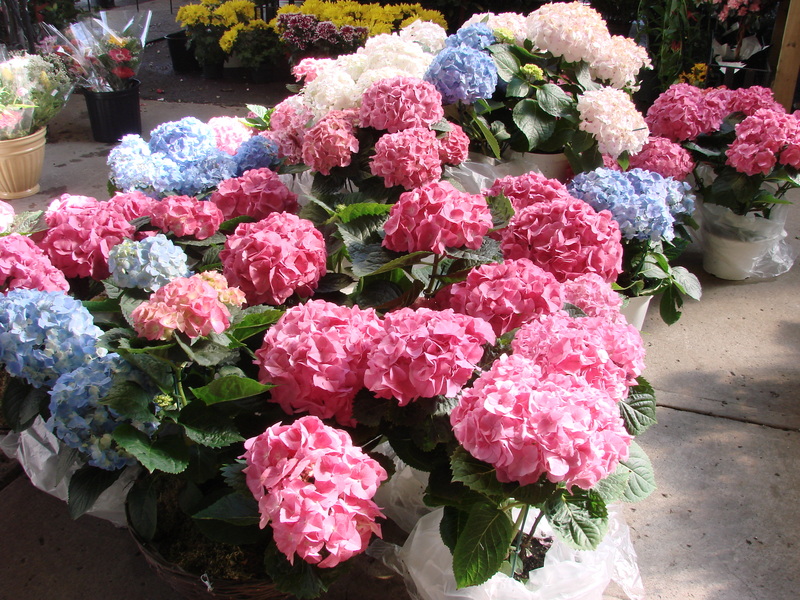 They stopped and saw beautiful potted Hydrangeas in various colors, they went inside and bought these lovely flowers to give to their mothers next day. We were refugees from Coratia therefore, I had no money to do the same for my mother, and felt very sad. As I walked slowly behind my friends and being close to tears, one of the girls turned around and asked: “ Would you like to come home with me and pick Lilac blossoms from the bushes on our farm to give to your mother?” She was the daughter of a farmer, a Berg Bauer, a mountain farmer, and had to walk a long distance to and from school every day. I knew if I went with her I would not be home before dark and my mother would be terribly worried. 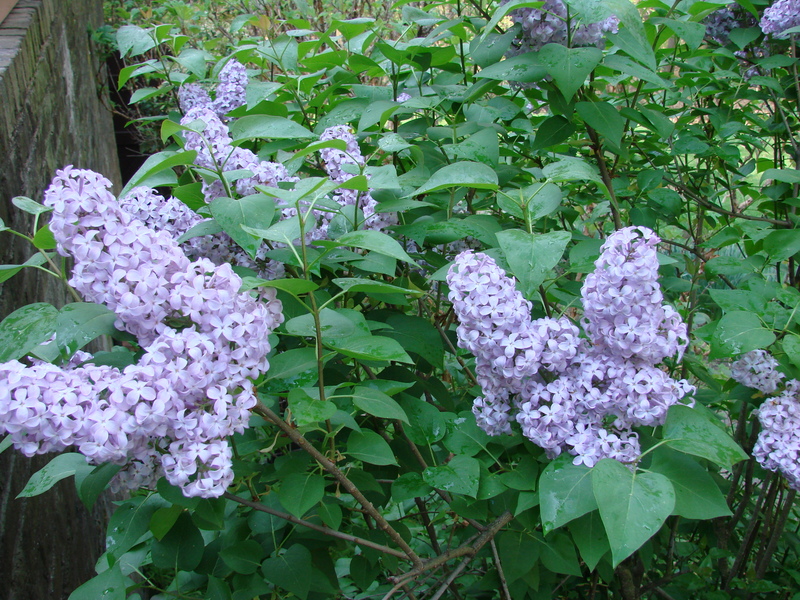 But knowing how happy I would make her to give her a bouquet of Lilacs, her very favorite flowers, the next morning, I decided to take the scolding that evening. I remember walking home at dusk holding several branches of lilac in my arms, the blossoms dancing above my head and the fragrance making me dizzy with excitement. I hid the Lilac branches behind a bush outside the building where we lived till the next morning. Miraculously they survived in the cool night air and were still beautiful next morning when I gave them to my mother with a big hug. I will never forget her smile expressing happiness and joy! That same morning I baked my first Kugelhupf for our Muttertag’s Kaffee. This was a great luxury, since eggs were very scarce and a very small amount of butter was allotted per family. The Table was set with a white embroidered cloth and the Lilac Bouquet placed in the center. This was a very special day. It was Mothers Day in Austria and I was only twelve. For your mother’s special day, you and your family might want to create an Austrian Afternoon Coffee. 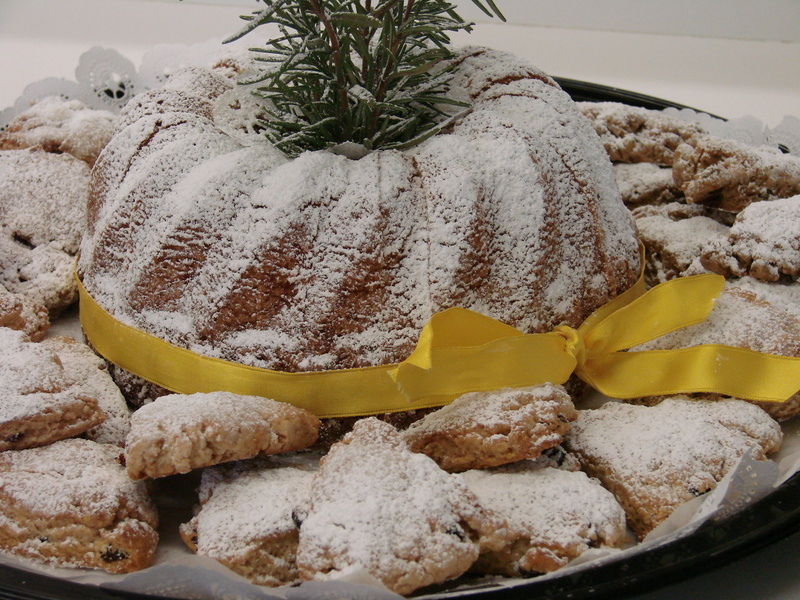 Here is the traditional Austrian Kugelhupf recipe to help you set the scene. Preheat oven to 350 F – Grease and dust Kugelhupf form. Serve with shipped cream…….mit Schlag! 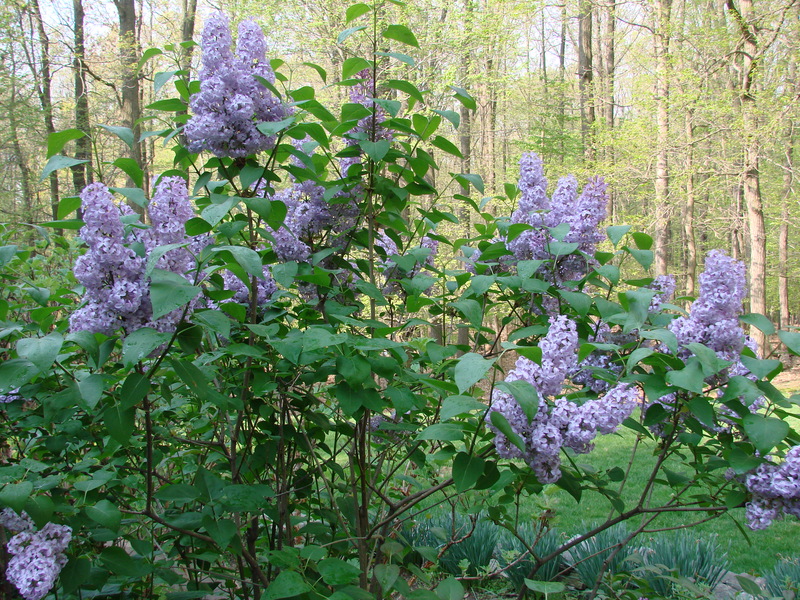 I always gave mother lilacs on Mother’s Day. 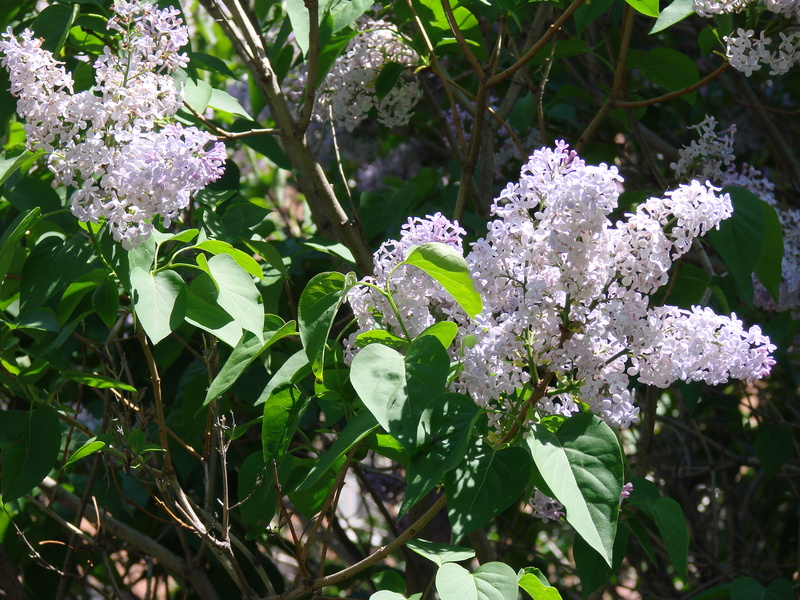 If the blooms had disappeared on the bushes I found them either painted on a card, on a scarf, or on a pin, but, always lilac blossoms on her special day! Maria, thank you so much for sharing this memory. It was so difficult both during and after the war in Europe. 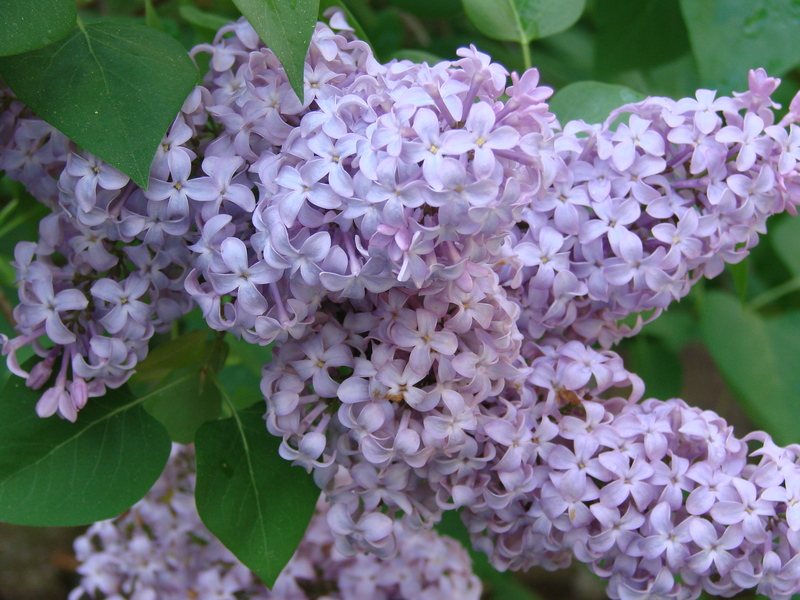 I can only imagine the joy your adored mutter felt when she saw the lilacs and you baked her kugelhupf. What are the cookies below the cake? Will someone bake for you this Mother’s Day? Our stories matter, not only for ourselves as we write them and as we share them with others, but they are of historical importance as we write our experiences of a time that no longer exists in the same way as now. With our throwaway society and short tweets and texts, part of our world culture will be lost. I hope you will continue to write your stories. Patricia………thank you so much for your kind and wonderful note about my Mother’s Day story. You touched my heart! I have to tell you….that I am writing a book about my childhood and how my mother’s love and protection helped to take away fear and unpleasantness during those refugee years. I plan to make it a memories and recipe book. Actually I had the proposal all ready at the IACP conference, but got cold feet when I attended Lisa Ekus’ seminar and panel on “Proposal to Marketing a Book.” I will need to self-publish this book……..and since any of the publishers expect the author to do all the marketing anyway……I feel that this is the way I need to put this book into print. It was quite interesting to write these stories – since it has been such a long time ago – and how it affected me while I wrote these memories down. There was one story in particular while I was writing I did not realize that I was holding my breath and suddenly I had to get up and breath….tears were running down my cheeks while my breath was coming uncontrolably from me. I could not believe that this was happening to me. Anyway…..as I was writing the different stories I kept remembering more and more……..so much so that I am starting to add more chapters/stories to the book. I have been taking a writing course at Notre Dame College here in Baltimore and the person who was teaching the course offered to edit my stories………I feel so lucky! I am not sure what will happen with this book, but I realized that I had to write it, since my son (32 yrs old), recently overheard me chatting with a friend about my life as a child, interrupted the conversation saying: “Mom I did not know you had these experiences before you came to America.” Both my parents did not and could not write about their experiences during and after the war, it was simply too painful for them. Therefore, I have to do it…….for my son and for all my nieces and nephews and the next generation. Thank you again for your kind words and encouragement to keep writing down my memories. Deb………thank you for your nice note……….you are very kind to me…….but, I feel the same about you. I wish we could get together more often. What are you doing right now? Maria, thank you for sharing your Mother’s Day experiences. I do so look forward to your book. Please keep us posted. of your mother hereafter when I see them and especially smell them. Oh, what a wonderful fragrance.